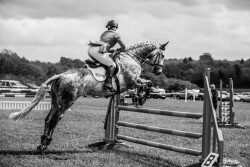 Laura Barber’s Blog: The big Badminton blog! 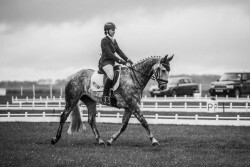 “We arrived at Badminton around midday on the Tuesday into gale force winds – the roofs of the temporary stables sounded like they could take off at any minute! 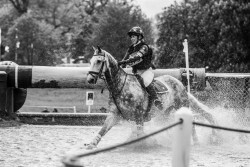 I got Tally settled and then we headed off round the course with my instructor, in the pouring rain. I was pleased to see a technical, championship level course, and was very glad that we’d been running at BE100 to prepare, as it was the biggest BE90 course I’d ever seen!